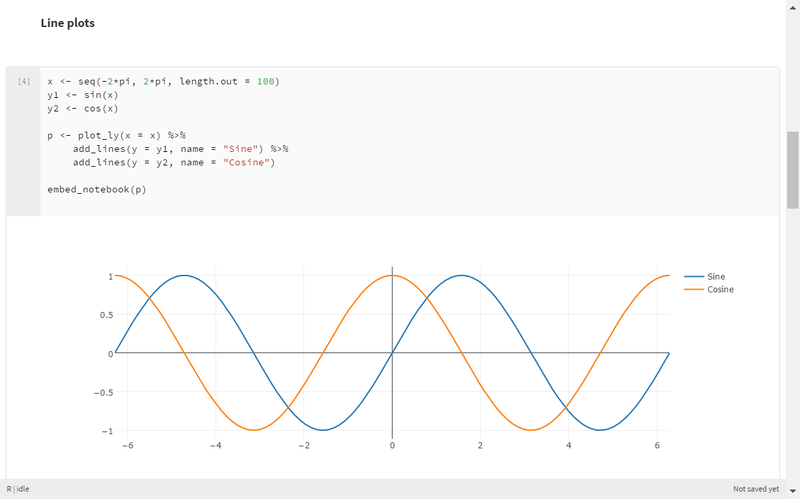 nteract is an open-source, desktop coding environment built on top of the Jupyter notebook kernel. Unlike Jupyter notebook, nteract has a GUI-based installer and app launcher. 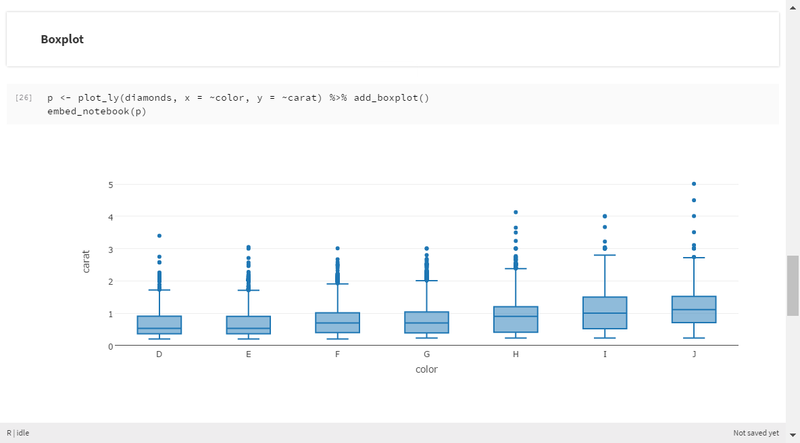 The Plotly R package can now be used in nteract for interactive notebook authoring in R.
Visit nteract releases to download nteract. Visit IRkernel to see details on how to install an R kernel for nteract. 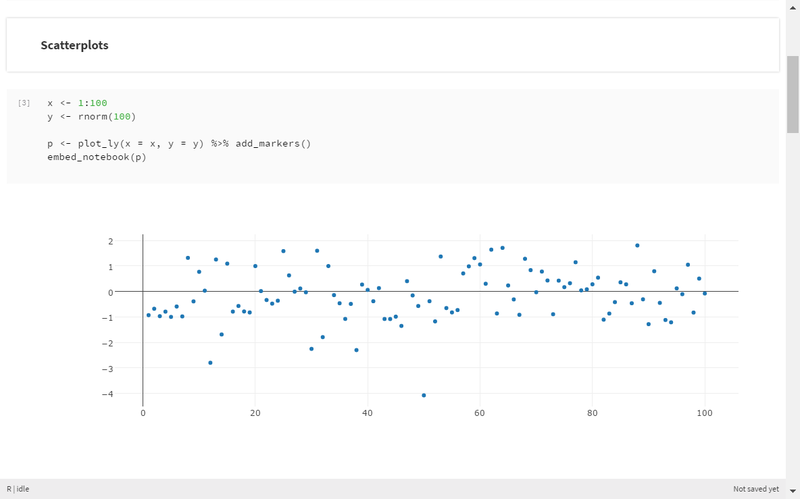 Visit Carson’s Plotly for R book for more details on plotly and its capabilities. 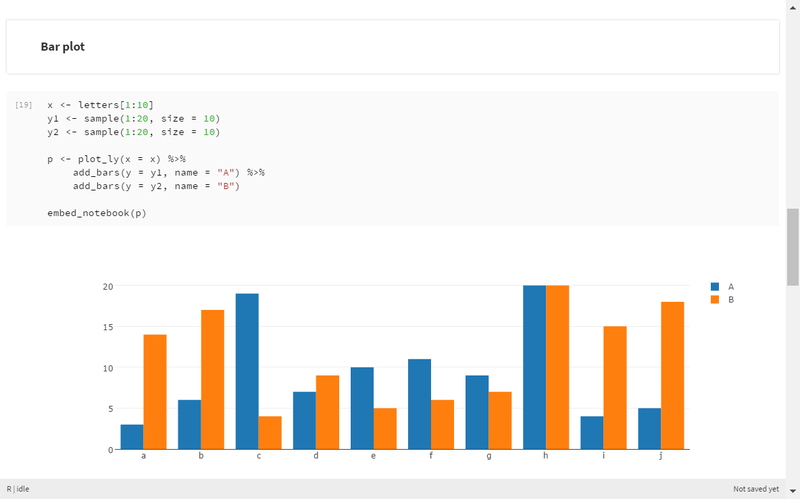 Plotly graphs are embedded in nteract notebooks with the embed_notebook() function. 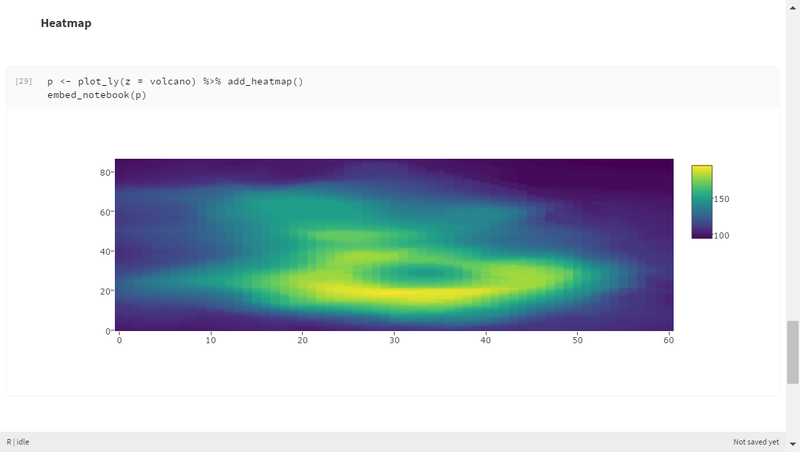 Once the plotly R library is loaded, with library(plotly), you can call help(embed_notebook()) within nteract to learn more about this function. If you encounter an installation error, make sure that sure pandoc.exe and pandoc-citeproc.exe are available in the same folder where R.exe resides. Below are some examples on how to use plotly within nteract. 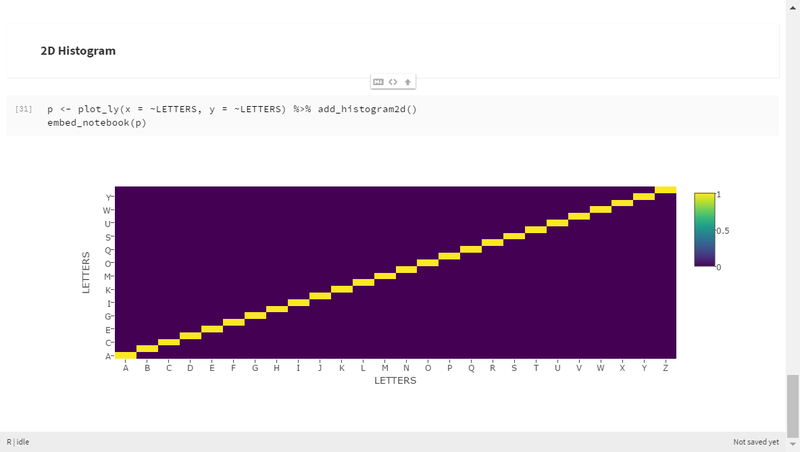 Visit Carson’s Plotly for R book for more details on plotly and its capabilities.